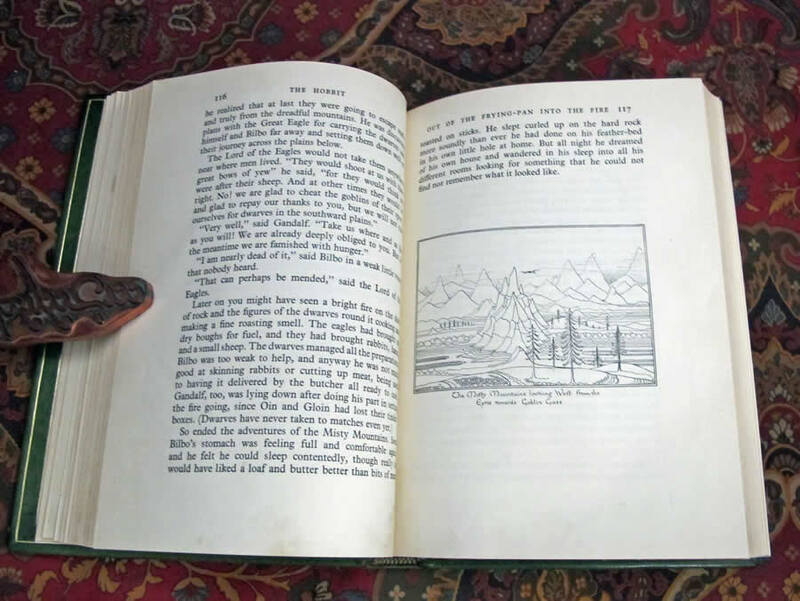 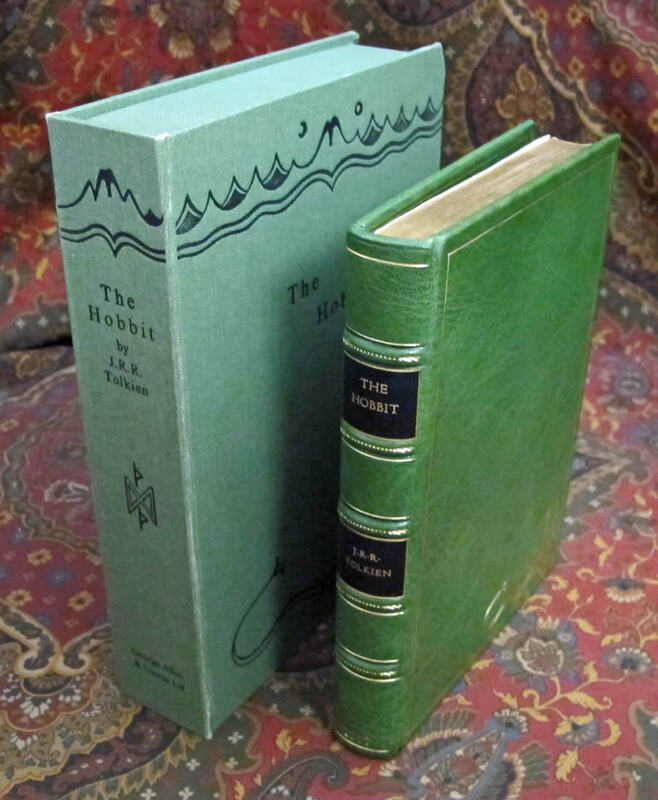 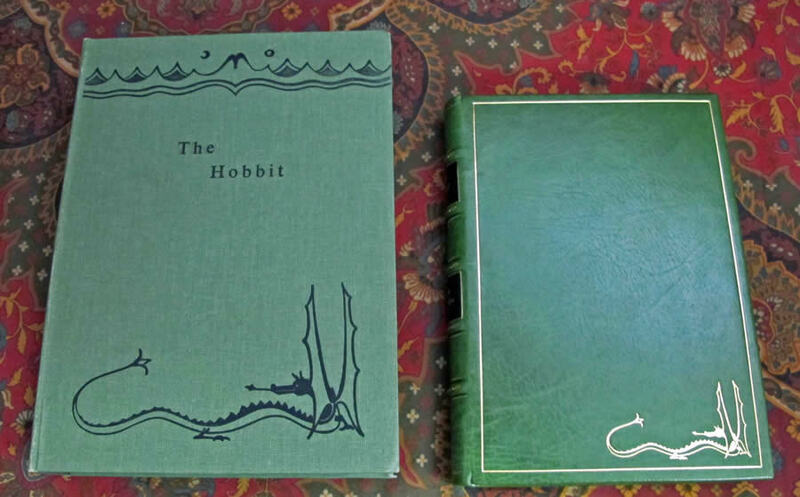 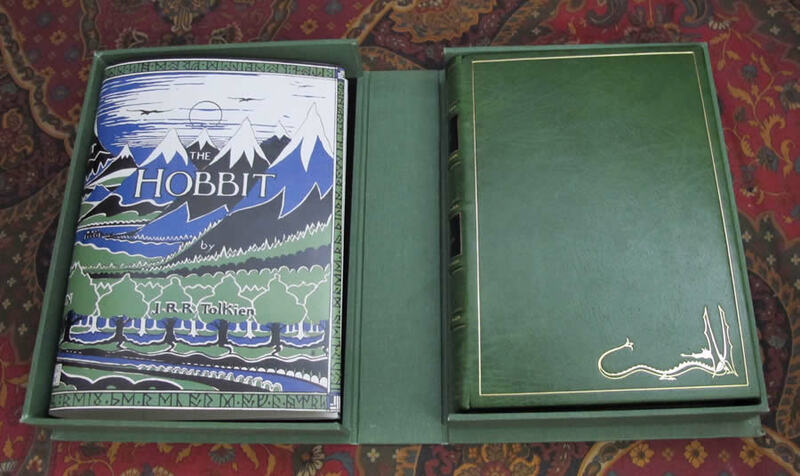 A magnificent 1st Edition, 1st Impression, newly rebound in dark green morocco leather, gilt stamped to with Tolkiens Dragon as from the original cloth boards, with a lovely green cloth covered clamshell case, stamped in black to match the original covers. 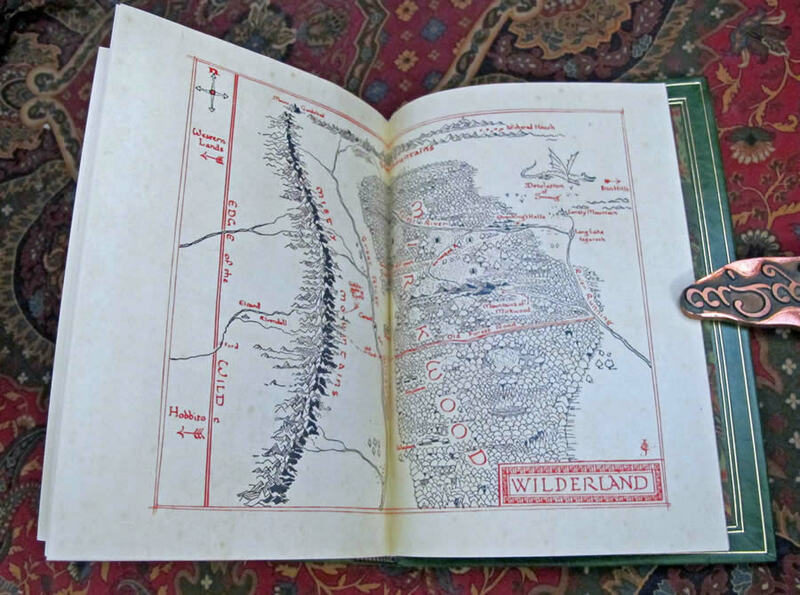 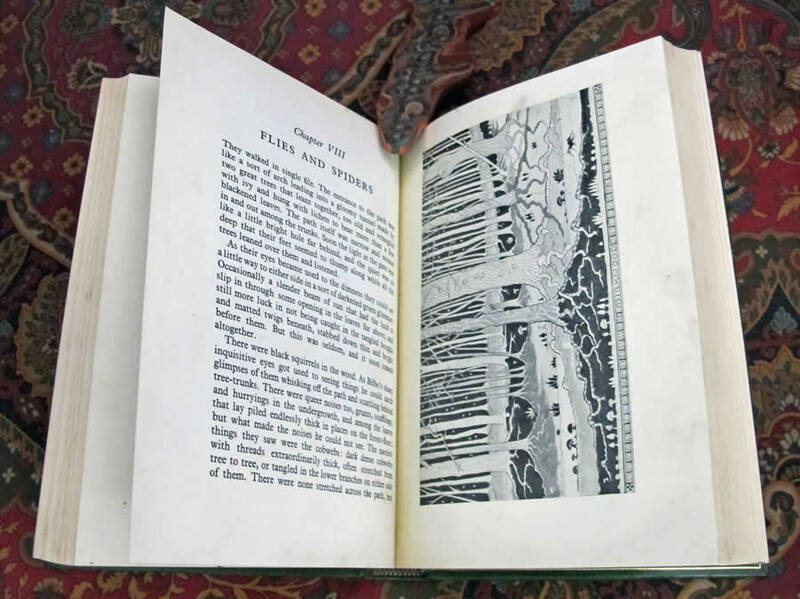 The original decorative map endpapers have been professionally lifted, lined, and bound in following the marbled paper endpapers. 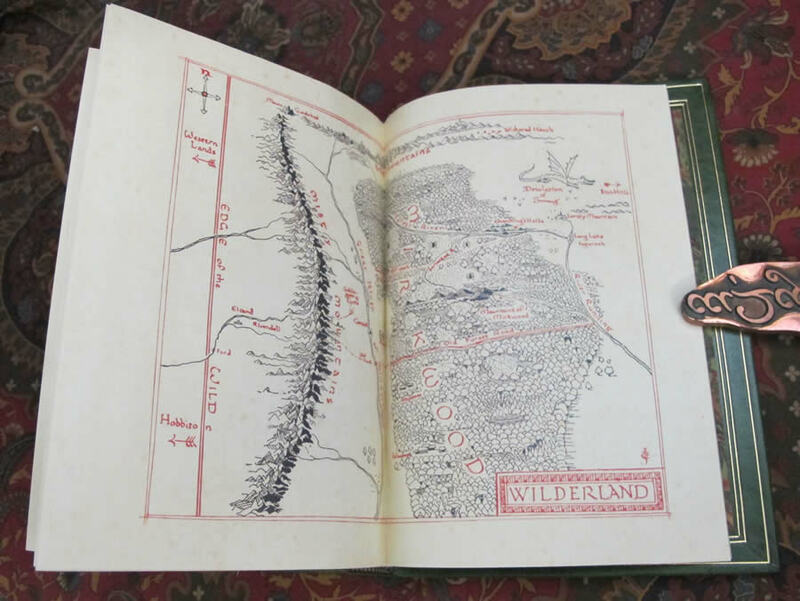 The maps are in excellent condition, with no names or markings. 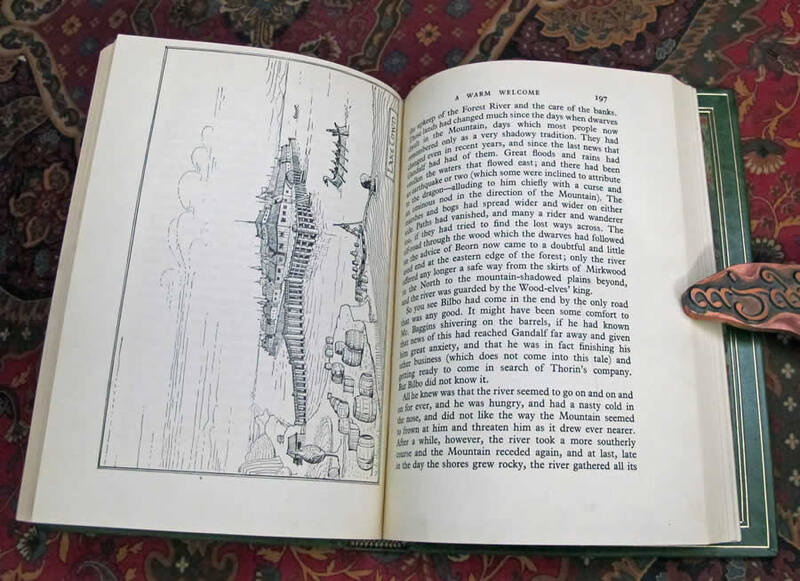 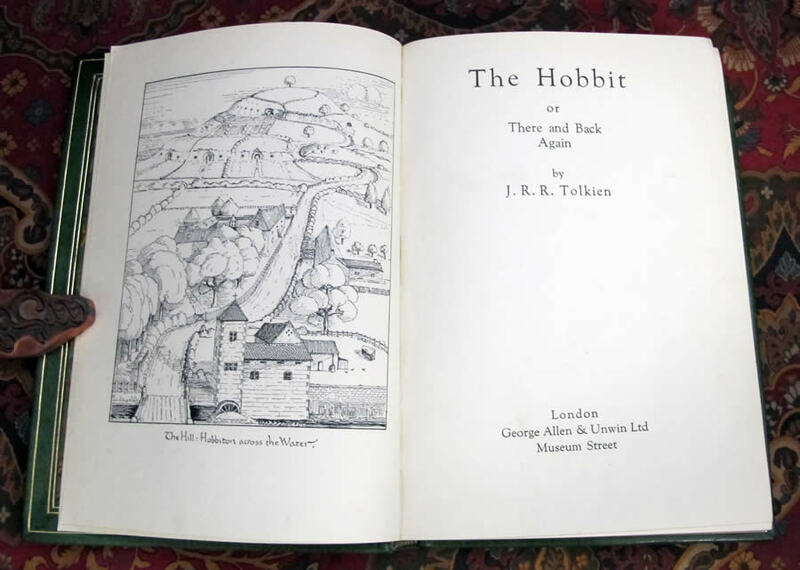 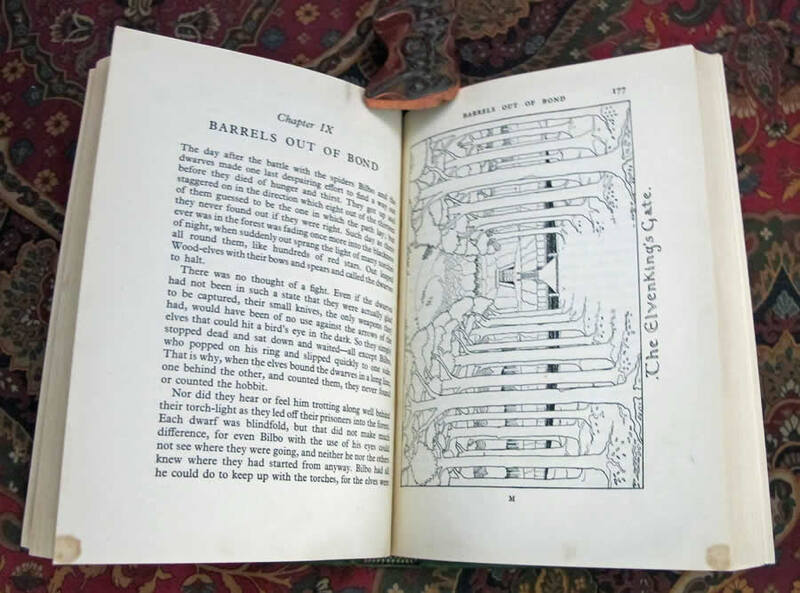 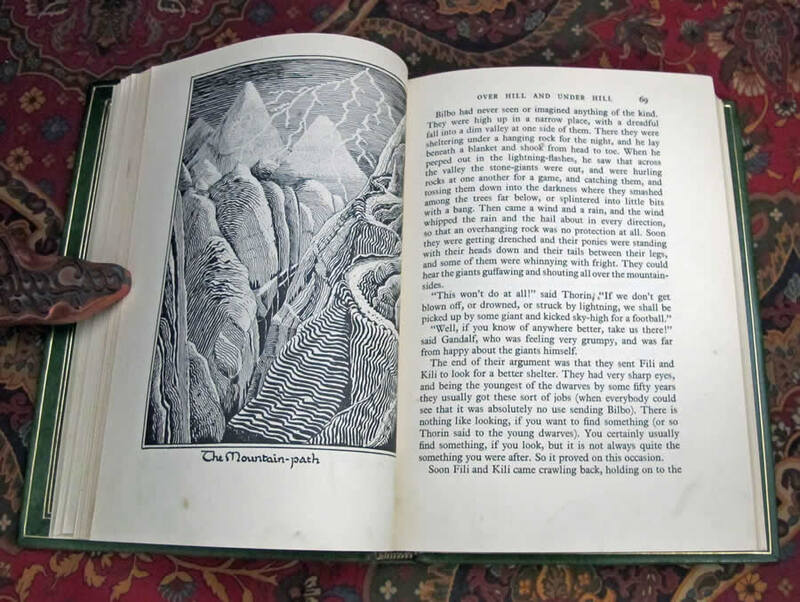 This is the 1st and only early UK edition published with Tolkien's famous frontispiece, 'The Hill: Hobbiton across the Water', in his original black and white line drawing. 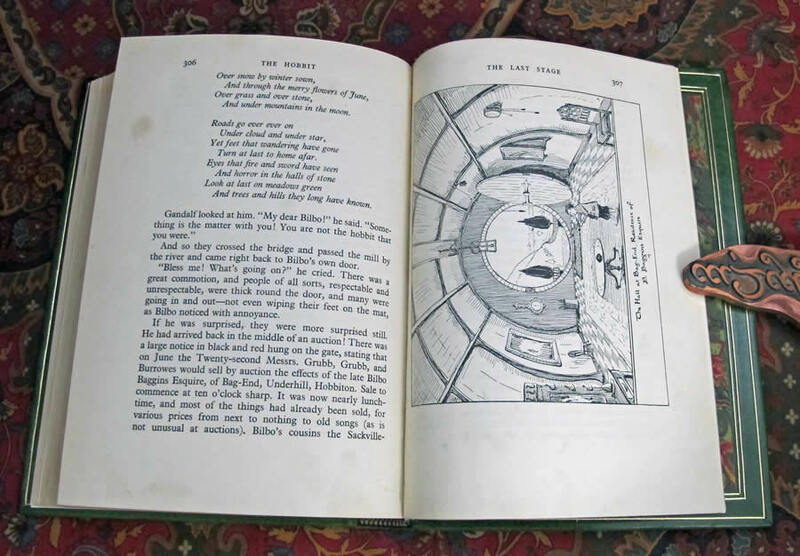 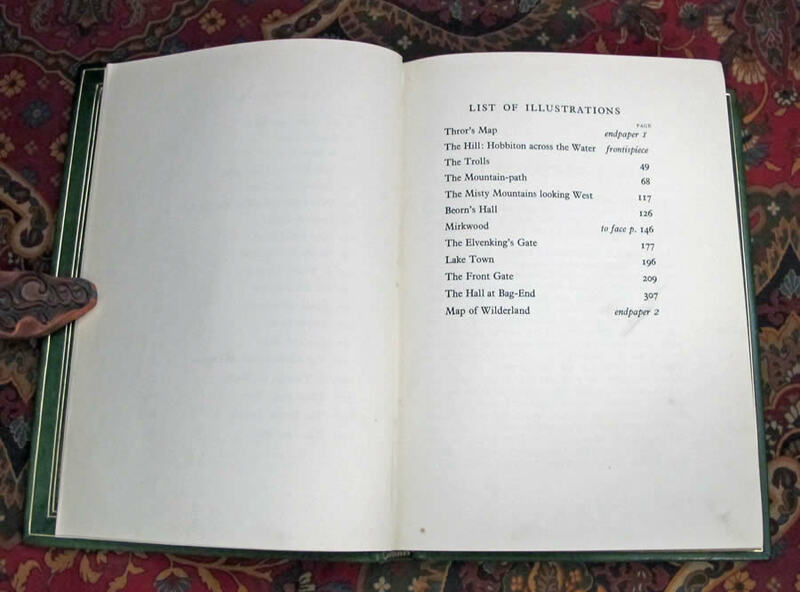 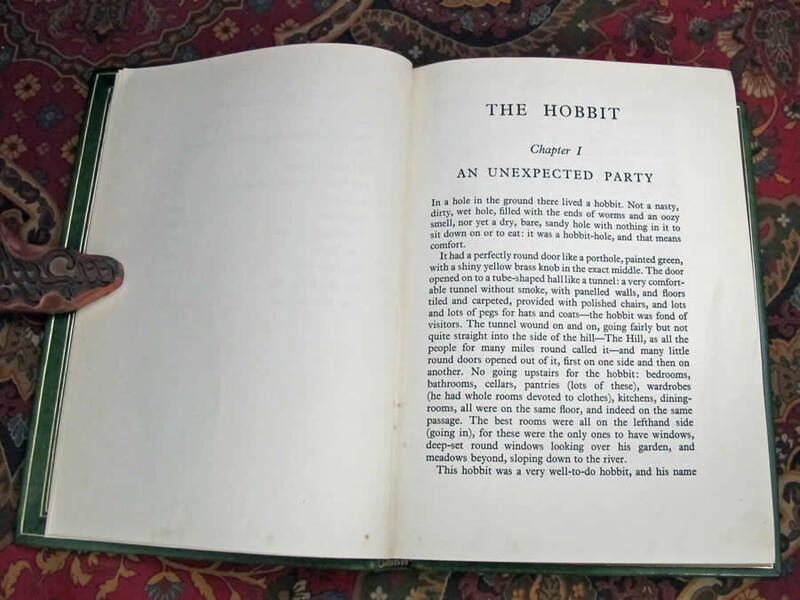 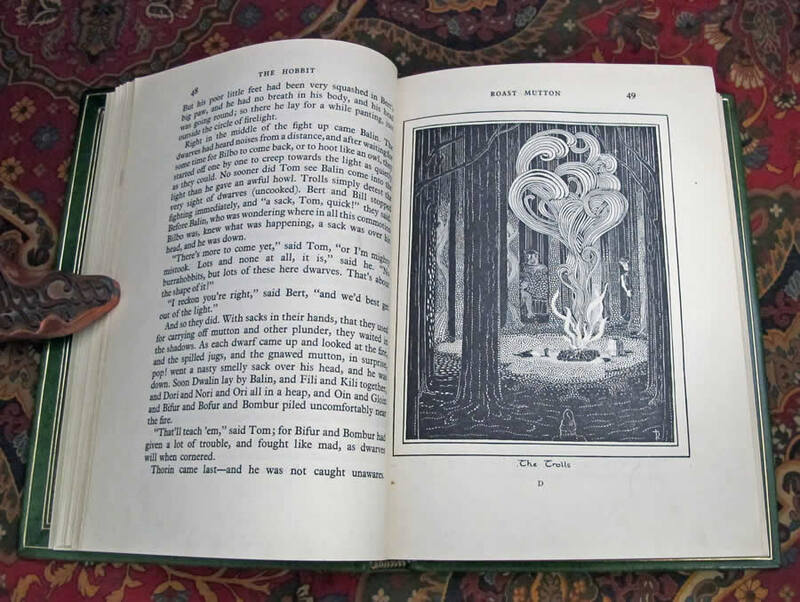 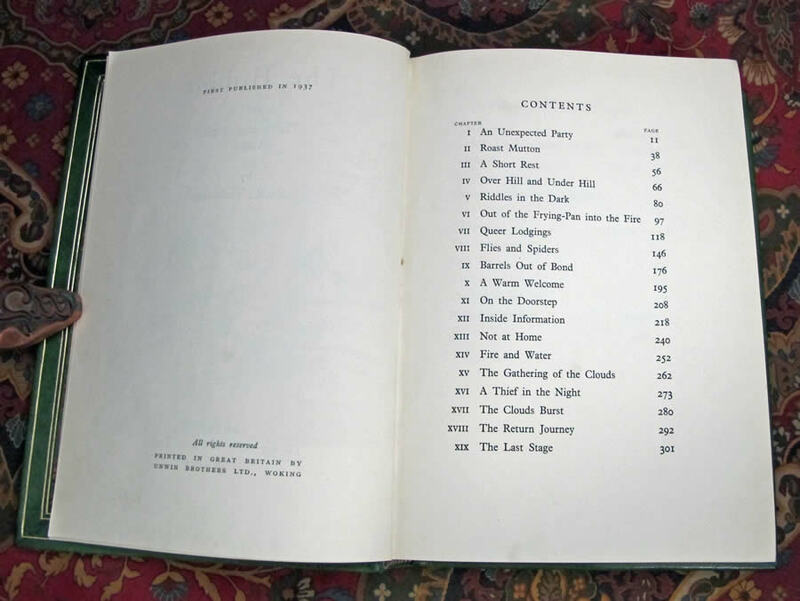 One of only 1500 copies of the original print run, which sold out within months of its release. This copy has been elegantly rebound in full Dark Green Morocco leather, by The Temple Bindery. 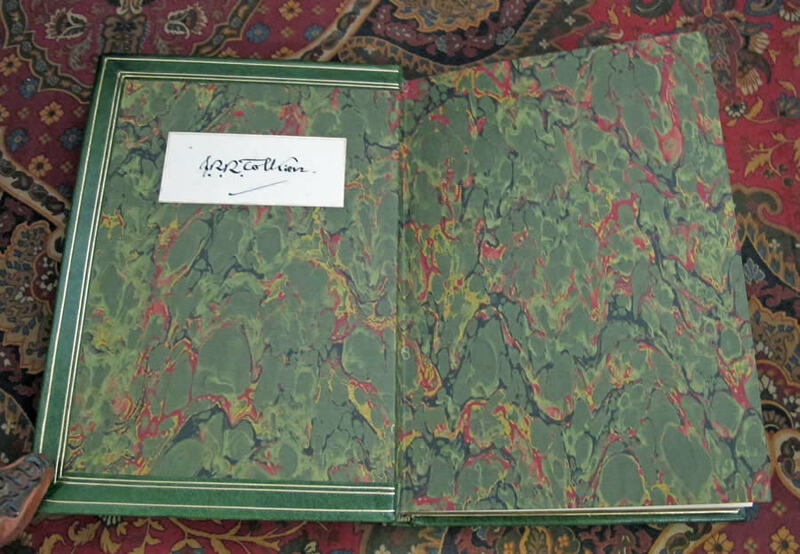 Features a beautiful flourished signature mounted to the front pastedown. 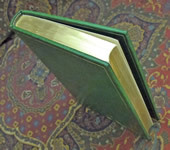 The textblock shows no names, writing or inscriptions. 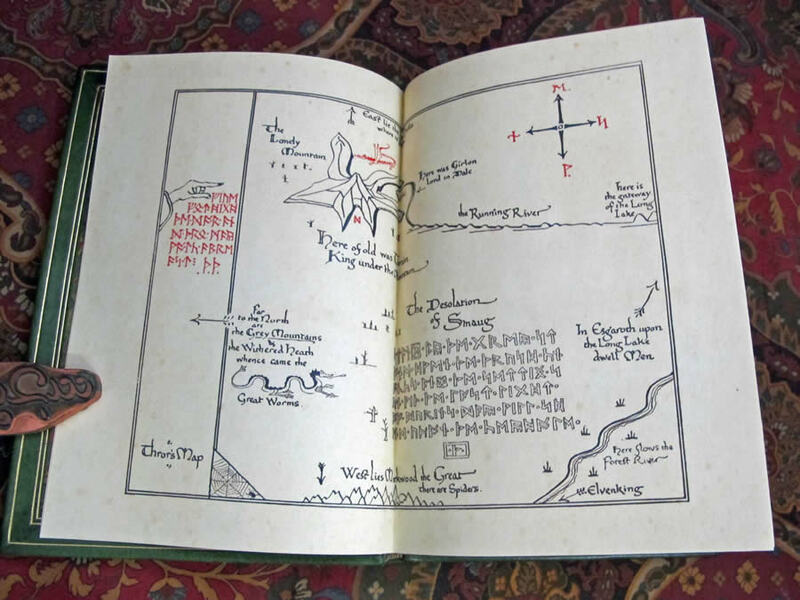 Pages are clean and bright, a few insignificant smudges and some minor spots to the pages, scattered thru the book, no other markings or tears noted. All edges have been trimmed and gilded.